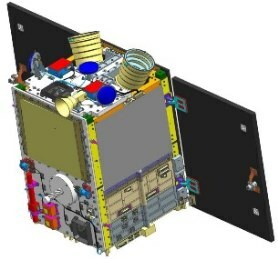 The VELOX-CI satellite is 61.5 by 60.8 by 84.8 centimeters in size and hosts three solar panels, one body mounted panel on one of its larger side panels and two deployable solar panels that are hinged on the side panel with the body-mounted solar cells. In total, the satellite hosts 24 solar cells connected in 10 strings on the three panels feeding power to a 20Amp-hour (End of Life) battery. Thermal control uses heaters and external radiators. A hybrid attitude determination system is employed by the satellite comprised of a conventional system that employs a pair of star trackers, sun sensors and an Inertial Measurement System. 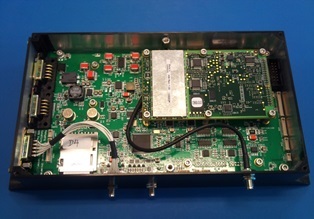 The experimental attitude determination system is based on a GPS payload that hosts three antennas. Pairs of antennas are used to record the carrier signal from a GPS satellite and calculations can then be made taking into account the known path difference and baseline vectors of the two antennas in an equation including the unit vector to the GPS satellite and the attitude matrix from reference to body frame. Based on pseudorange and double difference measurements, this system can achieve an attitude determination accuracy of around one degree, however, common visible satellites within the field of view of both antennas rapidly change and lead to frequent disruptions of the system. Also, the typical 1Hz update rate of the used GPS receivers may not be sufficient for operational use. Coupled to a three-axis fiber optic gyro, the GPS Attitude Determination System can overcome these challenges and achieve a usable accuracy better than 0.4 degrees. The satellite’s attitude determination system has an accuracy better than 0.2 degrees and attitude control is achieved with reaction wheels and magnetic torquers pointing the satellite to within 2 degrees of the commanded orientation. Communications are accomplished in S-band for telemetry downlink and command uplink at a data rate of 32kbps while payload data is downlinked via a high-speed X-band link at 160 Mbps. 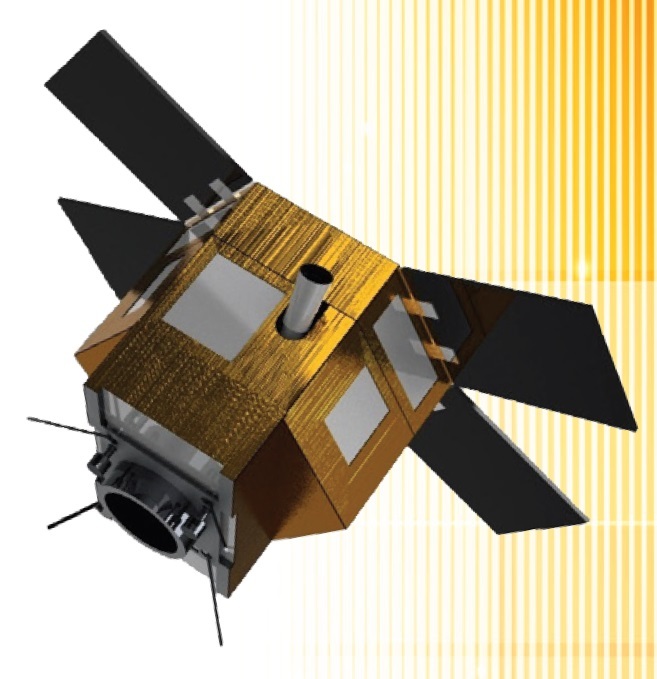 The primary payload of the satellite makes use of GPS occultation measurements to determine temperature, pressure and humidity profiles of Earth’s atmosphere for application in operational meteorology and climate research. 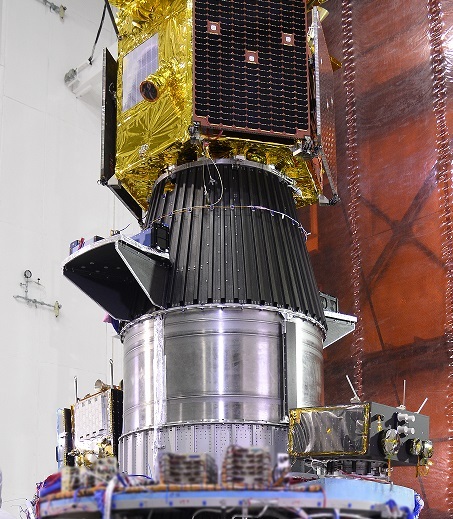 The instrument consists of GPS receivers to be able to track the signals of several MEO satellites and measure the doppler shift and bend angle of signals that travel through the atmosphere located in the line of sight of the two spacecraft. These phase delay measurements due to refraction by the atmosphere can be made from the satellite altitude to very close to the surface leading to precise information on the properties of the atmosphere at an accurate vertical resolution. 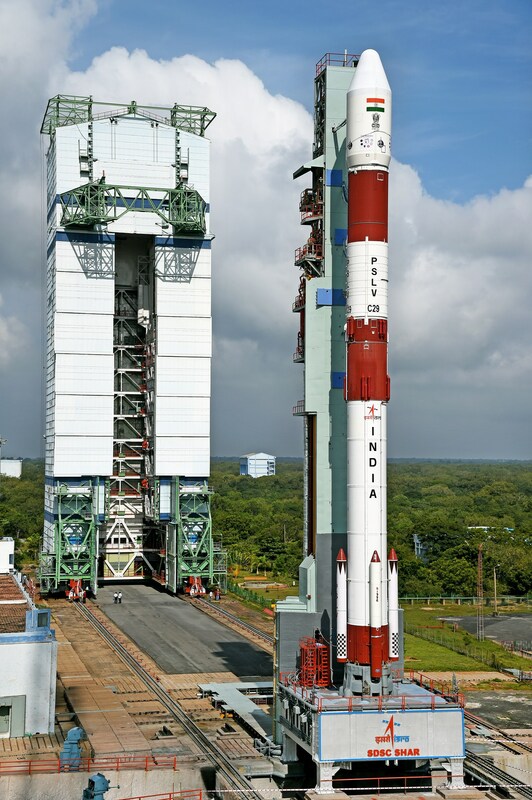 It takes about 60 satellite for the satellite to move sufficiently for the signal to traverse the atmosphere from ground level to 50 Kilometers altitude. VELOX-CI also hosts an experimental radio frequency probe.